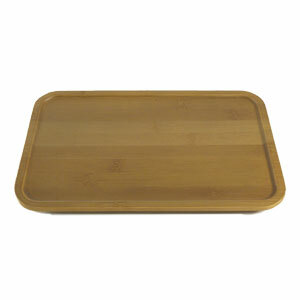 Not your average tea tray, this elegant design of all natural regional bamboo is built to serve your tea for many years. Select materials ensure against warping and water damage. Not dishwasher safe. Dimensions: 9 1/4" x 6 1/4"